Former President Jerry John Rawlings has taken to a popular social media platform, Facebook, to defend both his name and that of his wife, Nana Konadu Agyeman-Rawlings, and virtually taunting his critics. And for all others who also think that his high praise for President Nana Addo Danquah Akufo-Addo’s integrity is out of place because he is dancing with a political opponent, Rawlings says he does not care if Nana Addo was the son or cousin of the devil. The former First Couple have come under a barrage of criticisms following his comments at the 38th-anniversary celebration in Wa of the June 4th Revolution at which they proffered reasons, including high corruption, for the electoral defeat of the National Democratic Congress. Some have fiercely countered the Rawlingses positions on pertinent national issues, accusing the couple of being corrupt themselves. But in two separate posts on his Facebook page, Rawlings says tagging him corrupt “won’t wash” and that he has adequately addressed the issue of him receiving money from the late Nigerian Head of State, General Sani Abacha. “It did not work before and will never work,” he points out. 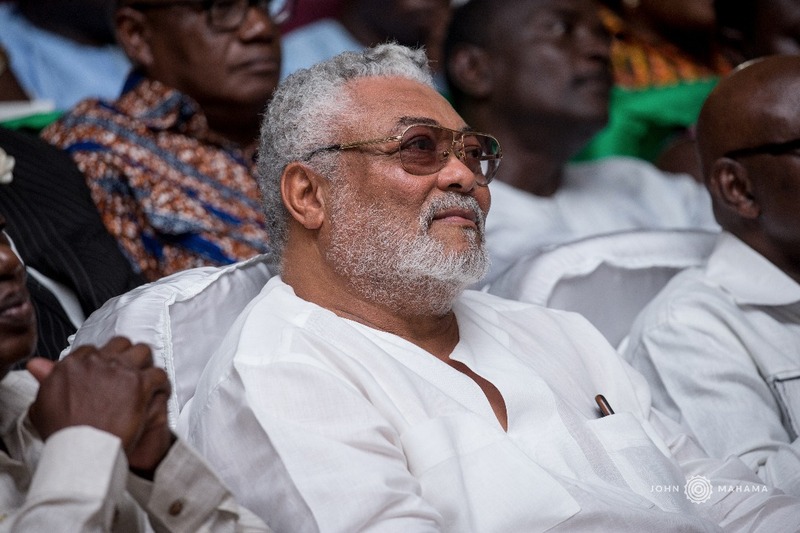 In his second post in which he asks that truth be given a breathing space, Rawlings says President Akufo-Addo has displayed more materialistic integrity and much more so than his predecessors. If you had the privilege of being in my presence on those money matters then you know I have absolutely nothing to hide. I stated the facts in my original interview to the Nigerian newspaper and further explained in the Daily Graphic subsequently. Trying to tag Rawlings and his wife as corrupt in order to justify your dishonest and corrupt ways won’t wash. It did not work before and will never work. Sadly many of you are so intellectually shameless and inherently dishonest that you have to continue doing the bidding of your paymasters. One of the weaknesses of this democracy is that SOME people with character deformities seem to have a bigger say or space in the media landscape, tagging themselves as social commentators and political analysts. And as for the Nana Agyeman matters no amount of these persistent lies and manufactured stories will undo the known truth. Let’s give truth a chance let’s give truth a breathing space; let’s clean up our blackened image. And as for Nana Addo (The President) I couldn’t give a damn if he was the son or cousin of the devil. He has displayed more materialistic integrity and much much more than all the three Johns put together. I would welcome nothing more than this government putting all three of you on your Adom FM programme under the chairmanship of your host to reinvestigate any of these twisted allegations brought against Nana and I. Bring along your perfidious nature, your jaundiced views and prejudiced mentality. And by the way I don’t do family business or allegiance in any aspect of my life. There are those who believe that blood is thicker than water but there are those of us who believe that principles are thicker and override the binding effect of blood.